Grainne teaching and performing at the Joe Banjo Burke Festival. Concert at DelRossi's, Rt. 137 at 8pm. Tickets $12. Phone: 603-563-7195. 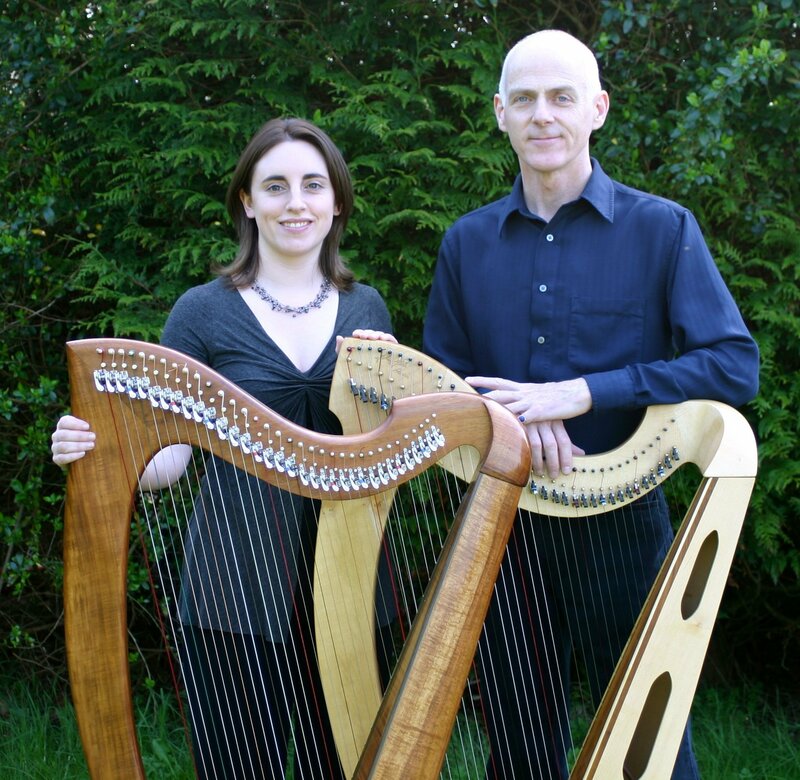 You Gota Have Harp presents Masters of the Celtic Harp at 7:30pm. The 18th annual Harpers Escape Weekend. See website to register. Grainne teaching at O'Flaherty's Irish Music Retreat. William performing solo at Celtic Fest 2010. For details see Grainne's website. You Gotta Have Harp presents at 7:30pm. Concert at 7pm, 4200 Dover Rd. $10/adults, $5/students or seniors. American Youth Ensemble. Grainne teaching and performing at the Tionol. William will be teaching two workshops at Virginia Schweninger's studio. The New Jersey Folk Festival on the Douglass campus at Rutgers University. Concert at the IAANJ (Irish American Assn. of Northwest Jersey) Cultural Center, 352 Richard Mine Rd. at 8pm. Concert for the Shamrock Traditional Irish Music Society at 7:30pm. Concert at The Shedd Institute of Music, E. Broadway & High St. at 7:30pm. Concert at the Sisters Artworks building, 204 W. Adams at 7:30pm. Tickets are $12 and are available at the door or in advance at the Cascade Community School of Music: 541-382-6866. Grainne at the High Cascades harp camp. Swannanoa Gathering. They're teaching harp, tinwhistle and concertina! Special guest instructors at the Maryland Summer Harp Institute. Stone Jug concert series. Contact John at (717) 677-4420 for tickets. 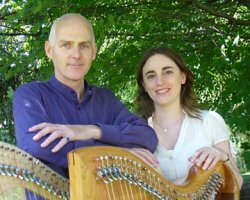 The Somerset Folk Harp Festival. Workshops and concerts galore. Their concert set is scheduled for Saturday night. If not attending the festival, call 856-795-7637 to order tickets. Copyright 2010, You Gotta Have Harp Productions.